Wedding Style: A Romantic, Intimate Ceremony with a Big, Fun Party! 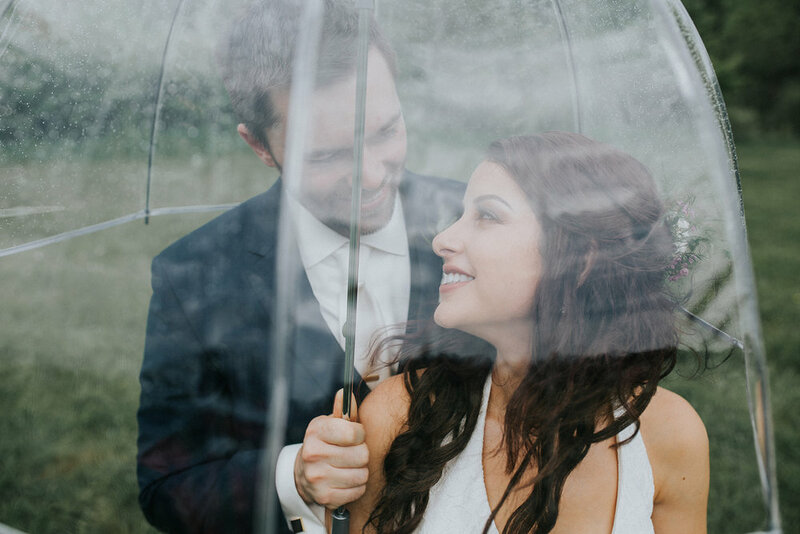 I loved coordinating Hannah & Chris’s romantic, rainy day wedding! 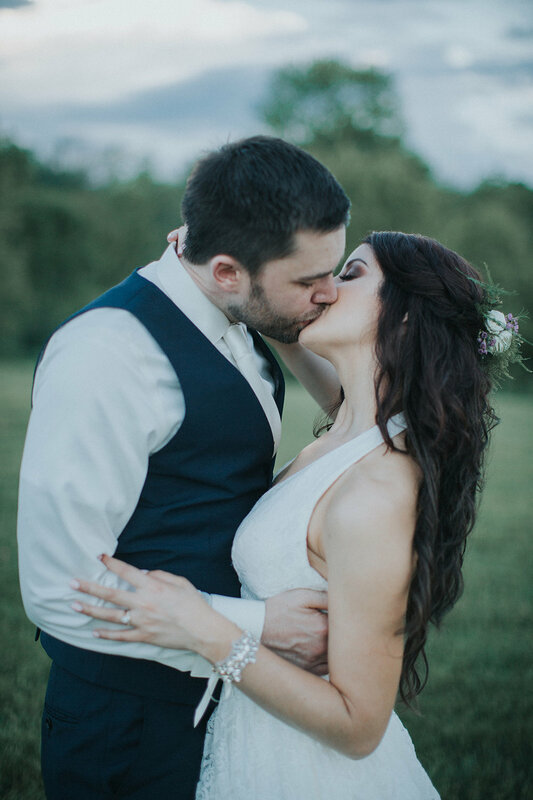 Hannah & Chris incorporated personal details in a gold, ivory, and blush color palette for their outdoor lakeside wedding at the SNPJ Recreation Center in Enon Valley, PA.
Storms were in the forecast for weeks leading up to the wedding day, threatening to relocate their lakeside ceremony. Thankfully, the rain held out long enough to allow for the perfect ceremony setting, but a few sprinkles right before made for some steamy bridal portraits. Hannah & Chris married with a self-uniting ceremony and in doing so were able to craft a truly one-of-a-kind intimate wedding ceremony. Their good friend officiated the wedding with their brothers doing readings. The couple exchanged vows that they wrote on their own and folded the signing of their license into the ceremony. There were a number of personal elements to really make their wedding look and feel like them. Each table had an engagement photo for the table number and cards asking the guests to offer anything from marriage advice, to movie and restaurant recommendations, to favorite memories. The menu provided a number of vegetarian and vegan options for their friends and family. And their incredible cookie table was a true labor of love by the Bride’s family and friends - namely her mother, who created the most beautiful cookies I’ve ever seen. Hannah & Chris are one of the most gracious couples I’ve met and I was honored to be their wedding coordinator and help them throughout their wedding planning journey. "...[A]fter our first call with Jess, our decision was easy. She is a warm and kind person who is genuinely just as excited about your big day as you are. Her calm demeanor helped us to stay as relaxed as possible through the last few weeks of wedding planning. 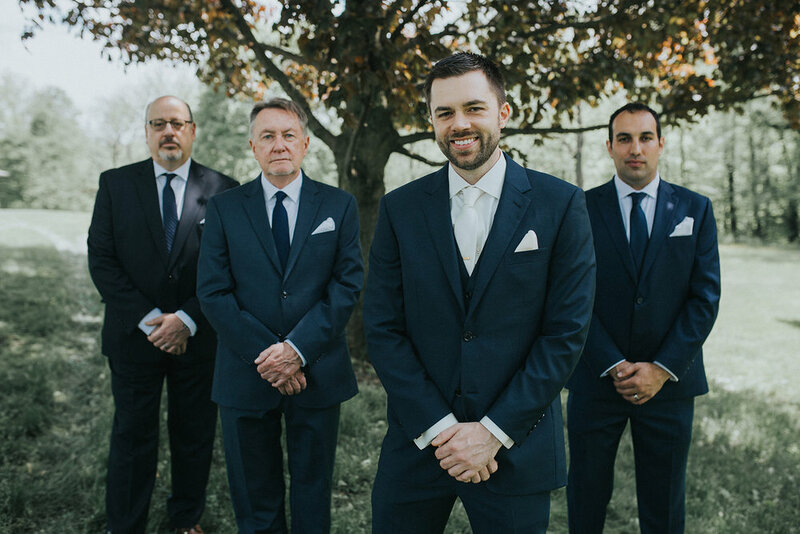 When our wedding day arrived, we were fully confident that Jess would deliver everything she promised because of her clear experience, professionalism, and organization. We couldn’t imagine our wedding day without her and would recommend her to any couple looking for help planning or executing their big day."